Two weeks ago, Sony Computer Asia held a press-only preview event for Quantic Dream’s Detroit: Become Human, which MP1st was fortunate enough to be a part of. During our time with the meaty demo, we got to experience the three protagonists’ story line Detroit had, and of course, managed to try out the gameplay. 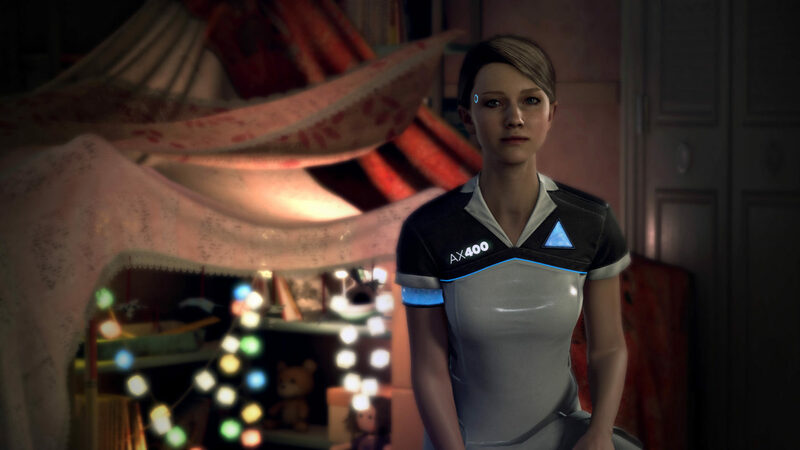 If you’re curious how Detroit: Become Human plays, or just want to understand what makes it different from the developer’s past games like Heavy Rain, and Beyond: Two Souls, then you’ve come to the right place. Note that we won’t talk about the story elements or variations we’ve experience, as Detroit is a narrative-driven game, and we want players to experience it first-hand. First thing you’ll notice out of the gate? It’s how gorgeous Detroit: Become Human looks. Sure, there’s still some semblance of the “uncanny valley,” but for the most part, each main character (protagonist, antagonist, etc.) 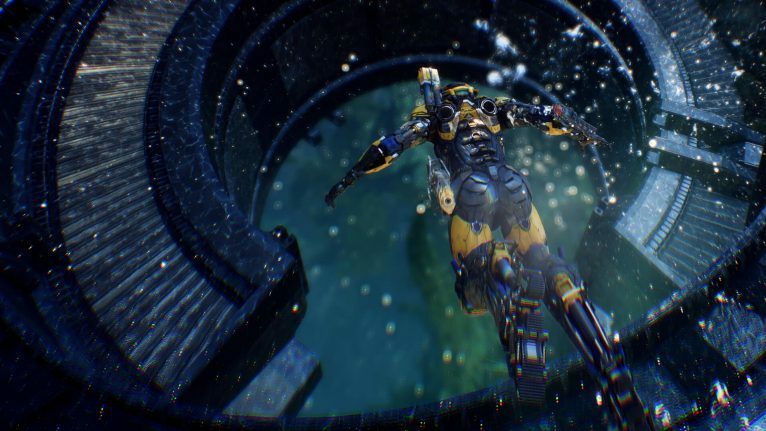 has fantastic animation, textures, and look very photorealistic. While the actual movement (done by the left analog stick) has that animated, video game-y look, the animations that play out when inspecting items, interacting with objects and such, are very fluid, and is undoubtedly Quantic Dream’s best work on motion-capture so far. Given we were told that motion-capture work for the game took more than an entire year (this is just for mo-cap alone), then it’s not that surprising. Adding to the overall immersion is the audio work. Thankfully, the voice acting is leagues above Heavy Rain. Based on what I played so far, each character’s actor managed to nail what’s happening on screen. Humans and androids have their own vocal cadence that are distinct, but not to the point that it’s distracting. The dialogue has been more than adequate so far as well, and I haven’t heard any cheesy one-liners or any of the sort — at least so far. If you’ve played Quantic Dream’s past games then you know what to expect, and this title is no different. Detroit: Become Human is a narrative-driven, story-heavy game that eschews traditional gameplay mechanics to ensure the player is immersed in the world they’re in. 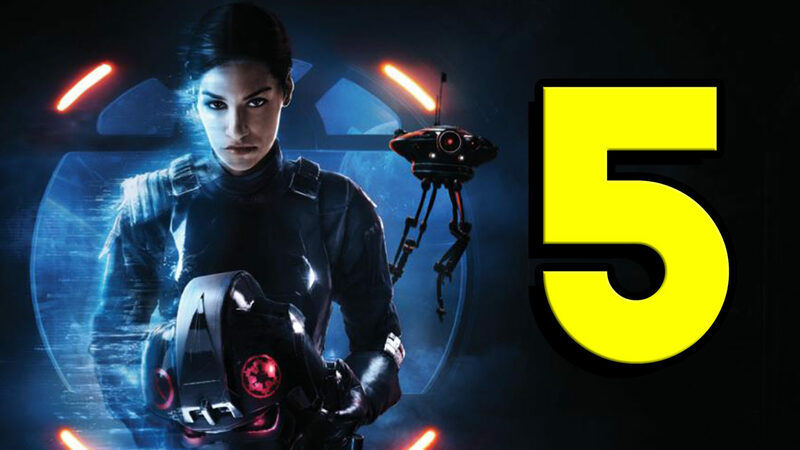 By this point, you’re either a fan of the studio’s games or you’re not. Fortunately for me, I’m a sucker for these types of games. 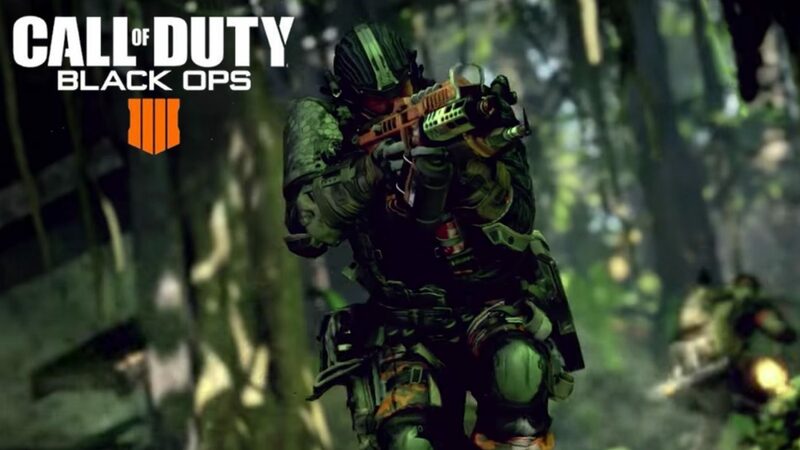 Having said that, Quantic did make a few big changes so players aren’t just walking to an object and pressing a button. For starters, there’s a a unique “re-create” mechanic present for androids that gives us a re-enactment of a previous event based on the situation available to us. You can choose to not do this, or you might miss a few, but doing so will mean that you won’t know the entire story, and worse, miss out on dialogue options. Speaking of options, there’s a lot more to interact with in Detroit compared to past games by the studio. Don’t get me wrong, it’s still a slow, methodical game that rewards exploration and inquisitive minds, but now we have a lot of branching paths when it comes to the story’s outcome. Each chapter you play has numerous variations which you can revisit once you’re done. Once you finish a chapter, you’ll be given a summary of what you did, splintering paths that you either didn’t do or didn’t have access to and so on. It should bump up the replayability factor a lot. And when you add in the countless numbers of endings (we were told there are hundreds of variations), that means you’ll be experimenting with different scenarios for quite some time. If you’ve made it this far and noticed that I haven’t touched on anything pertaining the story, well, it’s by choice. I’ll refrain from sharing anything that might ruin the game, and given it’s so story-driven, players will want to experience it fresh (so watch out for spoilers!). 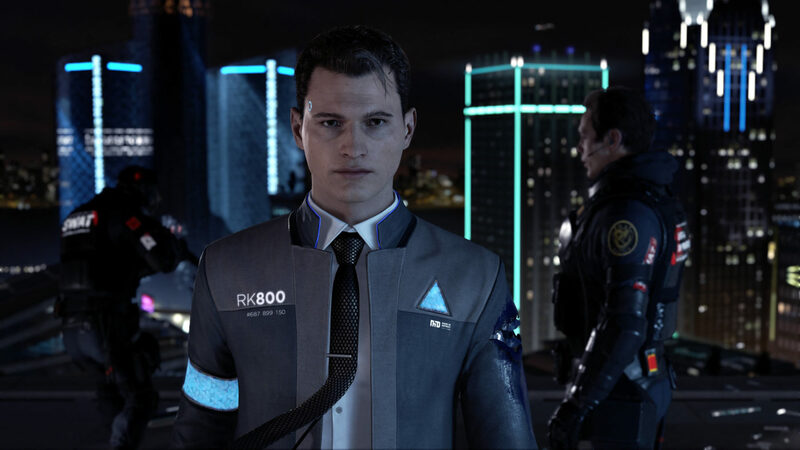 Detroit: Become Human has three protagonists: Kara, an android who very eerily resembles actress Jennifer Lawrence and is slowly becoming sentient; Connor, who’s an android himself but is tasked to rope in malfunctioning androids; and Markus, a human who wants to release androids from being slaves. Each of the three main characters have their own separate stories that can (or not, depending on you) intertwine at some point. According to Quantic, these characters can even die during the course of the game depending on the choices you make. Believe me when I say this: the less you know of Detroit’s story and plot outcomes, the better. There’s no denying it: either you’re a fan of Quantic Dream’s type of gameplay or you’re not. If you aren’t, Detroit might not change your mind. However, if you’re someone who appreciates fantastic audio video work, a (so far) gripping story, and value unique experiences over twitch gameplay, then you’re in for a treat. 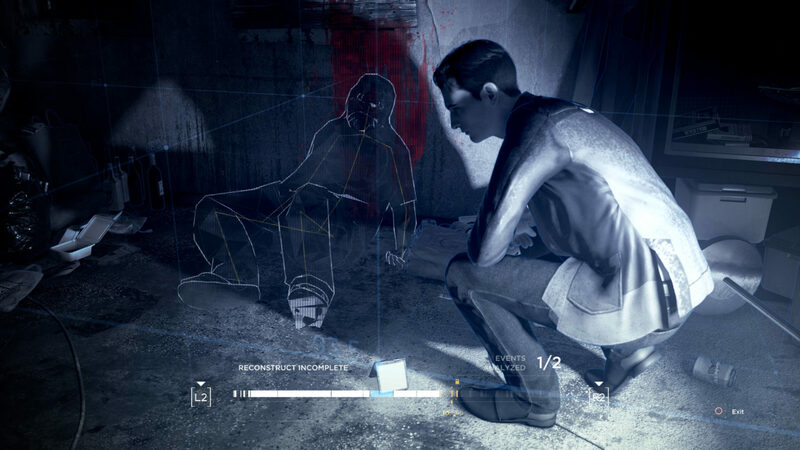 Will Detroit: Become Human bridge the gap between man and machine when it comes to sentience? I can’t say for sure. But what I do know is I can’t wait to see it unfold for myself when Detroit becomes available this May 25, 2018 exclusively for the PlayStation 4.